Each time that the temperature drops lower, your car gets a little harder to start and get going in the morning. And can you blame it? If you had to sleep outside and then suddenly wake up and move, you would be just as reluctant. A shower and a nice cup of coffee may usually do the trick for you each morning, these aren’t going to provide any benefit to your vehicle. If your vehicle is getting hard to start in the cold or you often warm up your car before driving, USA Synthetics has a post just for you. What Is Happening Inside Your Engine? Let’s start with a basic lesson on what happens inside your engine while you are driving. To get you from A to B, a range of small and large metal parts, varied in shape, all interact with each other. This interaction would be pushing, pulling, grinding, or bumping. Whatever is needed, these parts do it. If you can remember back to your high-school science classes, metal rubbing against metal causes a lot of friction and a lot of damage. Your engine is able to defend itself against friction and the damage it causes by using your engine oil. When applied, your engine oil travels through your engine’s systems, coating each of your engine parts with a protective barrier. Additionally, it also makes its way into the most intricate parts of your engine where it can further protect against damage. When this is in place, instead of grinding and scraping, your engine’s parts smoothly slide and glide. Click here to buy Signature Series 0W-40 Synthetic Motor Oil and keep your engine running smoothly. Check out the online store for more information or speak with a friendly expert by calling USA Synthetics at (405) 388-6170 to learn about the benefits of giving your car a synthetic oil change. 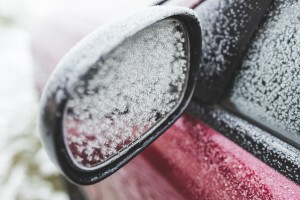 Do You Know Why You Warm up Your Car? There is one general lesson which all motorists are taught, and that’s to warm up their car before driving. This is especially true if the weather is cold. And while, on the surface, it makes sense, given that you enjoy a warm shower before get going in the morning, warming up your engine isn’t exactly what you think it is. If you are using conventional oil in your car then, as the temperatures drop, the oil inside begins to thicken and clump up around your engine. When this happens, crucial engine parts are left unprotected and susceptible to friction damage. Before your engine oil can return to a thinner consistency and continue to protect your engine parts, it needs to first warm up. You can probably guess where this is going, and you would be right. The act of warming up your vehicle is actually just warming up your engine oil. This causes two serious problems. The first is that while your engine oil is warming up it isn’t protecting your engine parts, which means that it’s just metal grinding against metal. This action slowly begins to chip and scrape small shards of metal away from each part. After a while, the damage becomes so severe that each part needs to be replaced under the all-too-familiar expression of engine wear. The second is a reduction in your performance. These small shards don’t just dissolve into your oil. Instead, they flow through your engine’s system where they can scrape against other parts, not only causing them damage, but they can also get stuck in between parts, preventing them from working correctly and resulting in a reduction of your engine performance. Synthetic oil has been purpose designed to prevent clumping and thickening during cold weather, meaning that it continues to protect your engine parts even while your engine isn’t running and even when the temperatures drop. To a motorist like yourself, this means that you no longer have to warm up your engine each morning and don’t have to suffer through decreased performance and unnecessary visits to your mechanic. To find out more about how a synthetic oil change in Oklahoma City, OK can help your engine get going in the morning, speak with an expert at USA Synthetics by calling (405) 388-6170.